Edited by Matt Weiland and Sean Wilsey, State by State is a panoramic portrait of America and an appreciation of all fifty states (and Washington, D.C.) by fifty-one of the most acclaimed writers in the nation. Inspired by the example of the legendary WPA American Guide series of the 1930s and '40s, fifty of our foremost writers have produced original pieces of reportage and memoir that capture the fifty states in our time, creating a fresh portrait of America as it lives and breathes today. These 50 writers tell us something lasting and revealing about each state through personal memory or contemporary reporting that captures the essential qualities that make each state its own. With an array of revealing facts and figures comparing the 50 states in a range of surprising measures (toothlessness, military enlistment, suicide), State by State is more than an anthology: It is a classic American road movie in book form. Featuring original writing on all fifty states. Origin of name Possibly from a Choctaw Indian word meaning "thicket-clearers" or "vegetation-gatherers"
Land area 50,744 sq. mi. If you've ever wondered about the 21st-century relevance of our national motto - Out of Many, One - wonder no more. This fascinating collection of 50 essays, one per state, each penned by a different writer, is a tour de force of letters and lore, affirming both the rugged individuality and the common threads that personify the American Experience. Each narrative opens with a mini-almanac of state facts; the compendium is enhanced with appendices of relevant tables and a signature of photos, the latter provided by the individual authors. The essays are eclectic in content and style. The iconic Merritt Parkway surfaces as central metaphor in the mini-memoir penned by Connecticut native son, Rick Moody. John Hodgman's riff on the uniqueness of Massachusetts is delivered with the dry wit of the observational humorist. Jonathan Franzen attempts a tongue-in-cheek interview with New York State. Daphne Beal waxes nostalgic about the life "ballast" cemented by her Wisconsin childhood. Joe Sacco (Oregon) and Alison Bechdel (Vermont) employ the comic strip to tell their stories. Some entries are love songs to "the old home state," others chronicle the immigrant experience, still others recall a temporary, but memorable sojourn to the state in question. Despite the diversity of subject matter and tone, there are certain recurring threads. The decimation and continued isolation of the native peoples; the emergence (or exacerbation) of intrastate political and geographical polarities; concern for the environment: these oft-repeating themes demonstrate that, regardless of our individual experiences, we do - on occasion - think as one. 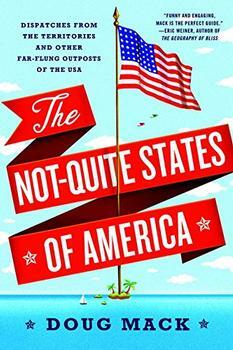 State by State is the kind of book you can swallow in a gulp, or savor state by state as the mood moves you. It would make a great book club read; if your group is feeling particularly ambitious, pair it up with Travels with Charley, Steinbeck's 1962 classic. (Darra W.) (Reviewed by BookBrowse First Impression Reviewers). Odds are, reading State by State, that you'll fall for every state a little, even if they remain tremendously hard to explain. This fascinating collection, inspired by guides in the 1930s and 1940s, includes original essays on each of the states by some of the country's finest (mostly younger) writers. Ideal nightstand reading and a welcome reminder of the pluribus behind the unum. ...funny, moving, rousing collection, greater than the sum of its excellent parts, a convention of literary super­-delegates, each one boisterously nominating his or her piece of the Republic. This eclectic collection of essays describing the ordinary people and places within our 50 states is as essential as the Rand McNally atlas. Alternately brash and bashful...each literary foray in State by State is well worth the trip. Grade: A. Readers with an interest in the endless variety of attitudes, lifestyles, viewpoints, and experiences to be found across America will enjoy this work. Ranges from delights to self-indulgent snores. Starred Review. Without leaving home or spending a cent on gas, readers of this book can enjoy a scenic view of the entire U.S. that is as familiar as it is disorienting.